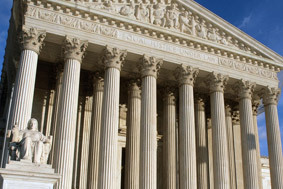 Obstructing Governmental Administration (OGA) is a frequently charged crime in New York. OGA is a broad charge that can encompass a number of potential actions. In order to sustain a conviction of OGA in the second degree, the state must prove beyond a reasonable doubt that you intentionally obstructed, impaired or perverted the administration of law or other governmental function, or prevented or attempted to prevent a public servant from performing an official function, by means of intimidation, physical force or interference. Second degree OGA is a Class A misdemeanor. If you or someone you love has been charged with OGA, it is critical to have an experienced defense lawyer on your side. Call 212-766-3366 to learn how we can assist you. 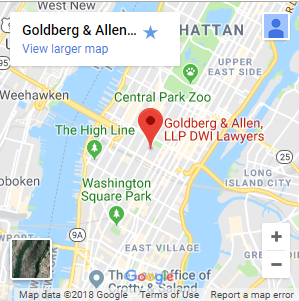 The New York City attorneys of Goldberg & Allen provide a strategic, dynamic defense against a broad range of criminal charges, including OGA. In many situations, OGA is a “catch-all” charge that is brought when law enforcement agents are uncertain of how to proceed. OGA is sometimes brought during heated exchanges between police and civilians. In one recent situation that made news, OGA charges were brought against a woman videotaping the police in her front yard. In too many cases, police make OGA charges when they are unable to prove any other wrongdoing. Our law firm will look closely at the evidence in order to determine exactly what happened. We will find any inconsistencies or discrepancies in the police report. When necessary, we will question the arresting officer under oath. Our tenacious, thorough approach routinely yields positive results for our clients. Have You Been Charged With Obstructing Governmental Administration? Call Goldberg & Allen. We offer a free consultation to discuss the specifics of your situation. To get started, call 212-766-3366 or email our lawyers.